If discussions between homebuyers and sellers are any indication, it would appear that price depends on which side of the table you sit. In mature property markets such as the US, Canada and the UK, publicly-available sale registration information provides a reference price for different property types. 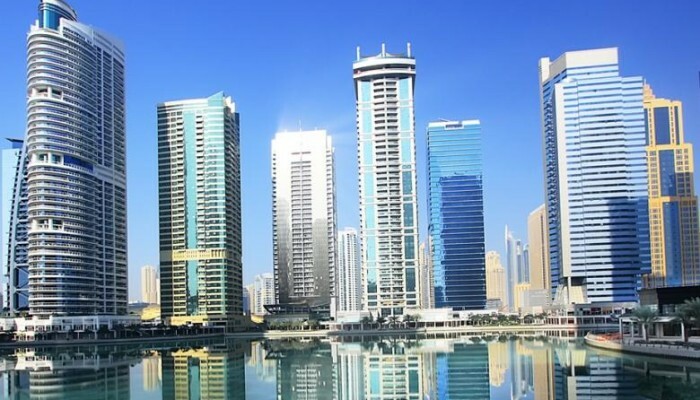 In the UAE, transaction data has historically been limited to sale prices by area published by the Dubai Land Department. This information is currently unavailable in other emirates. Verified transaction data can help replace contentious price discussions with informed decision-making when it is combined with a professional opinion of value for a particular property. The value of a property is determined by several factors, including age, condition, view, location and transactions in the immediate neighbourhood. Third-party valuation reports typically form the basis for mortgage lending and can also be a benchmark for arriving at a market price in cash transactions. Due diligence is required in appointing the right valuation provider. Relevant qualifications, experience and local market knowledge are essential attributes for valuation professionals to provide accurate, independent, professional and accountable reports. The ability of registered valuers to arrive at the correct value is determined by their training, track record and access to transaction activity. Without these, any opinion of value is limited in its accuracy. Average apartment prices across Dubai have continued to trade within a close range of Dh1.2 million to Dh1.4 million over the last 12 months, while average prices for villas/townhouses have moved down from Dh3.7 million in the third quarter of 2016 to Dh2.2 million this quarter. Lower-priced villa/townhouse inventory continues to enter the market in locations such as Dubailand, impacting price dynamics for existing communities. Rental declines have also been more pronounced in villas/townhouses than in apartments over the last 12 months. For apartments, starting prices of Dh700,000 in emerging locations such as Dubai South and Sports City is driving demand from first-time buyers. Communities with existing infrastructure and amenities continue to fare better than outlying areas which have limited facilities and where the majority of the projects are still under construction. International City and Dubai Marina continue to lead the secondary market transactions for apartments this quarter, while the top locations for off-plan apartment sales were Jumeirah Village Circle, Dubailand, Dubai South and Business Bay. For villas/townhouses, the majority of the secondary sales were completed in Reem (Mira), Emirates Living and Jumeirah Village Circle. The most active villa/townhouse communities for off-plan sales were Townsquare and Arabian Ranches 2. Total transactions during the first half of this year have surpassed the volume of transactions over the same period in 2016. February 2017 was particularly active for off-plan villa/townhouse transactions with new launches in Dubailand and soon to be handed over communities in Arabian Ranches 2, accounting for the majority of the transactions during the quarter. In this dynamic real estate environment, accuracy is key and an independent expert opinion of value can help buyers and sellers arrive at realistic market values.